The classic game show network will celebrate the milestone with 24 hours of games from the 50s and 60s. 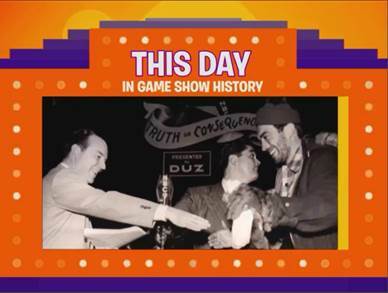 On July 1st, 1941, the first television game show, Truth or Consequences, launched as a one-off special on WNBT. It took nine years for the show to reappear more permanently, but that one airing helped pioneer the genre, which still goes strong nearly 80 years later. Buzzr, Fremantle’s classic game show network, will celebrate the momentous occasion by showcasing classic episodes of What’s My Line, I’ve Got A Secret, and To Tell The Truth from the 50’s and 60’s. Episodes will air in chronological order for 24 hours beginning at 6:00AM ET on July 1st. Don’t forget you can still see one of these, To Tell The Truth, airing on Tuesdays on ABC. Take a look at a trailer for the special event above. Click here to find Buzzr in your area.